FreightPros is a full-service freight broker that provides customers access to their database of recommended carriers with lowered rates. Its freight solutions include less than truckload (LTL) freight shipping, custom freight solutions, and more. Ready to get started with FreightPros? Visit their website. As of the date this article was written (01/08/19), there are very few online up-to-date FreightPros reviews. If you are a past or current FreightPros customer, leave a review to help others who are deciding whether or not to use the company. FreightPros offers tailored quotations that depend on the origin, destination, and weight of the shipment. Most rates for similar providers are also customized. However, estimated freight fees range from $6.55 to $21.98 per pound. Ready to get started with FreightPros? Visit their website. Order Fulfillment Services: Who’s The Best Fulfillment Company? — In this guide, we compared the services of four fulfillment companies: ShipBob, FulfillmentCompanies.net, FedEx Fulfillment, and FedEx Fulfillment, and showed you how to assess your business’ fulfillment needs to find the right fit. 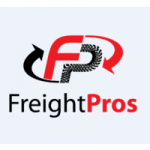 Can customers easily track their shipments with FreightPros? Yes. Customers can easily track their shipments with FreightPros’ web-based system. It provides updated information, such as freight quotations, shipment and GPS truck tracking data, and more. Does FreightPros offer inbound vendor management solutions? Yes. FreightPros offers inbound vendor management solutions. They help customers manage their inbound freight processes, such as shipment tracking, bills settling, and more. Their full-service freight brokers also provide lowered freight rates across the country. Not sure if FreightPros is the right fit for you? Read our reviews of all top order fulfillment service providers. Want the Best Order Fulfillment Service?